Natty Gal | Page 63 of 74 | Cultivating a simple, stylish and satisfying life! 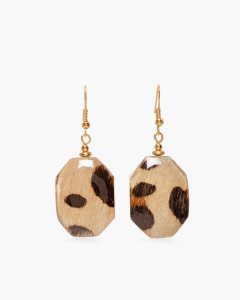 While especially on-trend this fall, leopard hasn’t always dominated the urban jungle! When movie star inspired, mass-produced fashions came into vogue in the mid-1920s, leopard print rose as a symbol of status and high fashion. In the late-60’s the pattern took a nose dive and was considered somewhat cheap and tacky until making a comeback via a few female rockers (notably Grace Jones & Debbie Harry) in the late 70’s and early 80’s. As a self-professed long-time lover of leopard, I’ll argue that this print is a timeless classic. Check out five of my favorite ways to wear leopard below! Via Spiga has created some version of this jacket every year for as long as I can remember. This year’s model features a flattering A-line shape and slightly subdued leopard print. Great, wearable, statement-making topper! 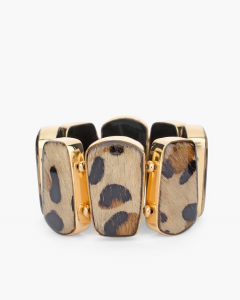 While only a few pieces are shown here, small leopard accessories are great for adding a fun pop to neutral basics. Belts, scarves and watches are other easy ways to incorporate the print. Cross-body bags are so useful for fall – they keep those hands free for picking apples and for photos in the pumpkin patch! 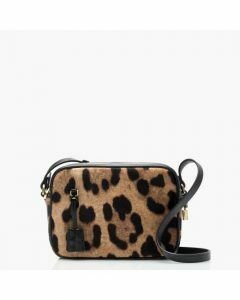 Picture this cute (but roomy enough for essentials) leopard version with jeans, a white tee, black cardi and boots. Suddenly weekend basics aren’t so boring anymore! Leopard in the workplace? Unless you work in an ultra-conservative field, you can get away with leopard by keeping the look office-appropriate. Pair a printed pencil skirt with solid black or tan blouse or sweater and heels or black tights with boots. For a date night look with the same skirt, don a silky black cami, strappy heeled sandals and black bomber or denim jacket. Last but by no means least, leopard flats are a must-have! And at $40 – this pair is a deal! For work/business casual you could pair these with a black dress or crops and a blouse. Or try them casually with a denim shirtdress and black scarf. Lots of options for adding a bit of GRRRR into your life! NOTE: For more on the history of leopard prints, check out this article on Mental Floss. This week’s blog is posted in memory of Lakewood, Ohio’s Jen Verrillo of TheBroadsSide.com. I’ve been cracking up all weekend reading your hysterical posts and am heartbroken for your daughter that you left this earth so soon. When she’s older I’m sure she’ll get comfort (and a huge laugh) from reading your posts! Rest easy funny girl. Am glad you are wearing leopard in this picture. While last week’s post was filled with champagne wishes and caviar dreams, this week’s is firmly planted in reality. No matter what your budget, polished style is within your reach! Below are some looks from a few of my favorite budget-friendly stores: Uniqlo, Target and H & M. Uniqlo and Target are great for basics; Uniqlo’s tees, Merino wool and cashmere sweaters can’t be beat in terms of quality for the price and are Natty Gal favorites. H & M is a great budget go-to for trendier pieces. Kept the vest and turtleneck the same color in this look. The ribbing in the sweater combined with the sleek quilted fabric of the vest give an interesting texture contrast. A lace-up wedge bootie or slip on sneaker would look great with this too. I find myself day-dreaming a bit today so thought it would be fun to talk about aspirational pieces of clothing and accessories. You know…the ones that you hope to save up for some day and, once purchased, will treasure like your first-born child. Three of the pieces on my list are detailed below. Do you keep a clothing bucket list? If so, I’d love to hear what’s on it! Named after Brigitte Bardot this classic shoe with a modest 70 mm/2.75 inch heel is the most attainable item (i.e., least expensive) on my list. The simple classic styling is exactly what I’m referring to when I encourage clients to invest in well made pieces with styling longevity. The Jimmy Choo Romy 85 is a similar style at the same price for girls that fall into the Choo Camp. The original Cartier Tank was inspired in 1917 by the Renault Tanks which Louis Cartier saw in use on the Western Front. In the past 100 years the original has led to many variations such as the Tank Cintree, Tank Chinoise, Tank Folle, Tank Americaine and, my preferred, the Tank Francaise. 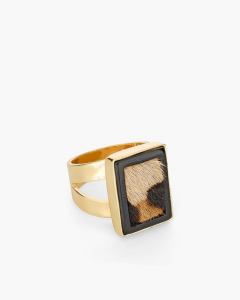 This piece subtlety implies luxury…wealth…refinement! In February of 1955, hence the 2.55 name, Coco Chanel updated her classic design house handbag. The 50th anniversary of this bag was celebrated in 2005 with the style named Reissue 2.55; however, 2.55 has now come to stand for all Chanel bags of this similar style. Whether in tweed, velvet or one of the many calfskin versions, the classic styling makes this bag investment worthy – as stylish and coveted in 2016 as it was in the 1950’s.